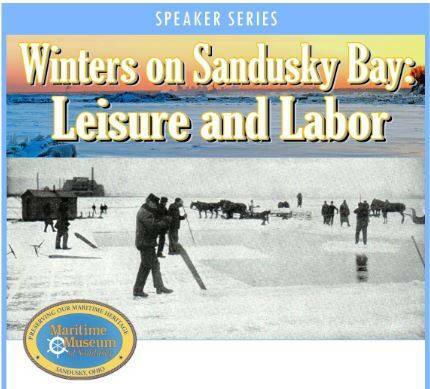 The Maritime Museum of Sandusky takes us back in time 100 years ago when the protected waters of Sandusky Bay were great for skating and ice boating on Thursday, January 24 at 6:30pm. But many locals also worked out on the ice by transporting goods to the Lake Erie islands, icebreaking, on passenger boats, and harvesting the ice for commercial and home use. Registration required and can be completed here.